If you are looking for great headphones with an excellent sound quality and also at an extremely low price, you should look at the Betron BS10. The Betron BS10 earphones deliver mightily a very impressive and well-balanced sound so that the user gets an unmatched sound quality. Let’s have a look at build and sound quality to determine whether these headphones are worth their price. The headphones are extremely lightweight and are specially made for those who want to feel free from all the constraints of bulky and large earpieces. They have ergonomic ear tips which stay in ear canal properly every time you use them. The ear canal design delivers great ambient noise isolation. They come in various size rubber grips so that you can customize it to fit into your ears. The Betron BS10 earphones are widely compatible with Android tablets and smartphones, Samsung Galaxy, iPad mini, iPod touch, iPhone 7 / 7 plus / 6 series/ 5 / 5s / 5c, iPad air, windows devices and all other popular music handsets which come with a headphone socket. 12 mm earphone driver gives you tight mids, and good treble and bass reproduction. The mic works great and can be used for work conference calls. The earphone has a good fitting bud which doesn’t fall off even when you are moving around or running. It gives us perfect volume without any distortion and has a great sound quality. It has the X bass function to boost low frequencies which you usually get to hear in a club environment and other such places, making them perfect for hip-hop and EDM genres. The headphones operate at 20 Hz to 20000 kHz frequency, which is quite a decent range and provides an impressive and dynamic sound both on high and low end. 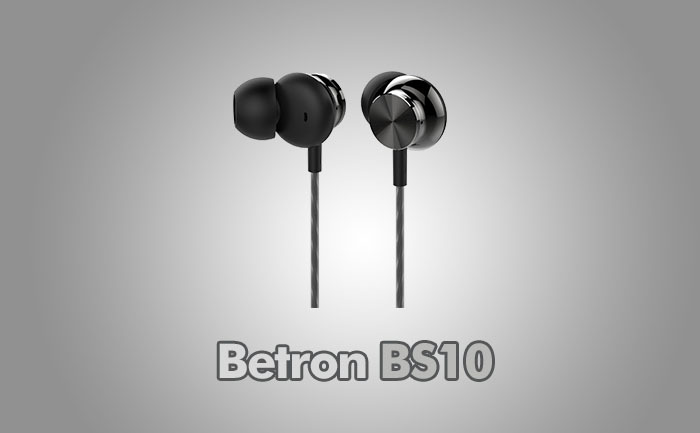 Betron BS10 earphones come with the complete 1-year warranty and also the money-back-guarantee in 30 days. The earphones are better than any other entry-level products from the famous brands which come at a much higher price. The Betron BS10 is an impressive performer and people using these headphones are highly satisfied with the build quality as well as sound quality. The highs from the product are tuneful and bright. The mids are a bit muddy. However, there is a break-in period, after which the headphones start to play much better. For such a low price it’s really a great deal. PROS: Great quality for such a low price / Different bud sizes / Stay in ears. CONS: Mids could be better.